The role of dairy fat for the risk of stroke is not yet clear. 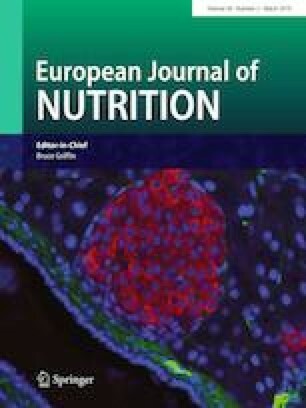 Adipose tissue reflects long-term fatty acid intake and metabolism. We, therefore, investigated associations for percentages of adipose tissue fatty acids, for which dairy products are a major source (12:0, 14:0, 14:1 cis-9, 15:0, 17:0, 18:1 trans-11 and 18:2 cis-9, trans-11), with incident total stroke and stroke subtypes. We conducted a case–cohort study within the Danish Diet, Cancer and Health cohort, including all incident stroke cases (n = 2108) and a random sample of the total cohort (n = 3186). The fatty acid composition of adipose tissue biopsies was determined by gas chromatography and specific fatty acids were expressed as percentage of total fatty acids. Stroke cases were identified in the Danish National Patient Registry and the diagnoses were individually verified. We recorded 2108 stroke cases of which 1745 were ischemic, 249 were intracerebral hemorrhages and 102 were subarachnoid hemorrhages. We observed a lower rate of ischemic stroke for a higher adipose tissue percentage of 12:0, 14:0, 15:0, 17:0, 18:1 trans-11 and 18:2 cis-9, trans-11. Adipose tissue percentages of 15:0 and 18:1 trans-11 were also inversely associated with intracerebral hemorrhage, whereas no associations between the adipose tissue fatty acids and subarachnoid hemorrhage were observed. No associations between 14:1 cis-9 and ischemic or hemorrhagic stroke were found. Our results suggest that a larger percentage in adipose tissue of fatty acids for which dairy products are a major source is associated with a lower rate of ischemic stroke. The online version of this article ( https://doi.org/10.1007/s00394-018-1608-2) contains supplementary material, which is available to authorized users. We wish to thank the Danish Cancer Society and the study personnel of the Diet, Cancer and Health cohort for data collection and management. The primary data collection for the Diet, Cancer and Health cohort was funded by the Danish Cancer Society. The funding agency had no influence on the design, analysis or writing of this paper. Aarhus University supported the presented project with a PhD fellowship.